Want a Heavy-Duty Stool? Make Sure It's Fully-Welded - Here's why! 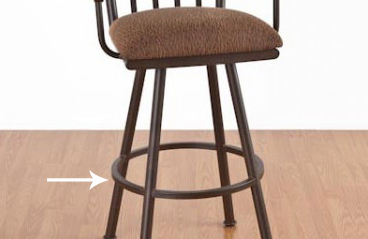 If your stool doesn’t have a strong frame, you don’t have much of a stool. A wobbly frame isn’t just a hazard for falls – it’s uncomfortable to sit in! The two main types of metal frames you’ll find on the market are welded and screwed. Welding joins metals at the molecular level to create a single piece of metal. 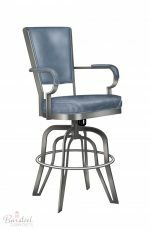 With a welded stool, you’re not sitting on an assembly of legs, footrest and supports – you’re sitting on one solid piece of metal from seat to floor. Screws have tiny points that can work their way out of a stool over time, exposing sharp or snag-producing edges. 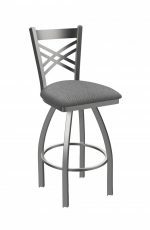 With welded stools, there’s no such thing – again, it’s just a single piece of metal that needs no additional fasteners. Stools go through a lot – twisting, torquing, pulling, dragging, and yes, occasionally being knocked over by a sprinting dog. 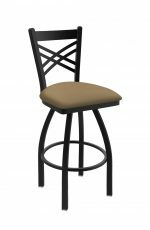 The force of these thousands of little knocks and dings can eventually loosen the screws in a stool, causing it to wobble or collapse. Not the case with welded stools, where there’s nothing to wriggle loose. 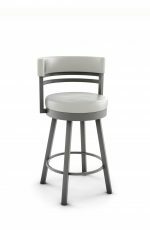 Welded stools allow for a better “powder-coated” metal finish because they don’t have any holes or fasteners on their surfaces. The finish can be applied in a single protective coat over the entire frame. Screw holes, on the other hand, are gaps where moisture and dirt can enter the stool’s metal work, get under the finish, and start a chain reaction of chipping and wear. 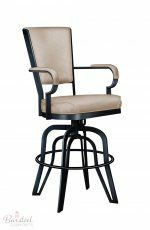 It’s hard to believe that the quality of a barstool depends on all of these little things, but it really does! 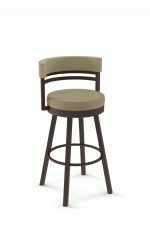 If you have any questions about our stools, how they’re made, or what makes them the best around, please let us know – we love talking about stools!